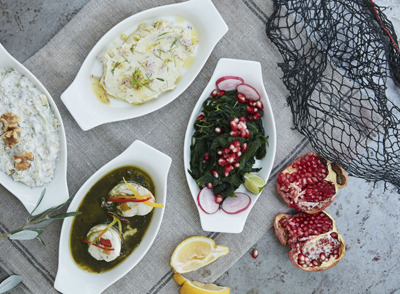 Fish Dubai offers Aegean cuisine (Turkish and Greek) with a fantastic selection of hot and cold plates including salads, tzatziki, vine leaves, octopus, sea-bass, mussels, calamari, pasta dishes and a beautiful open counter of fresh fish and seafood to choose from by the bar. Set on the shores of the Mina Seyahi beach, it's a breath-taking experience surrounded by sea breezes, sunsets and the stars. Due to a large number of requests, advance table booking is essential to avoid any disappointment. Call 04 511 7373 to book your table now.